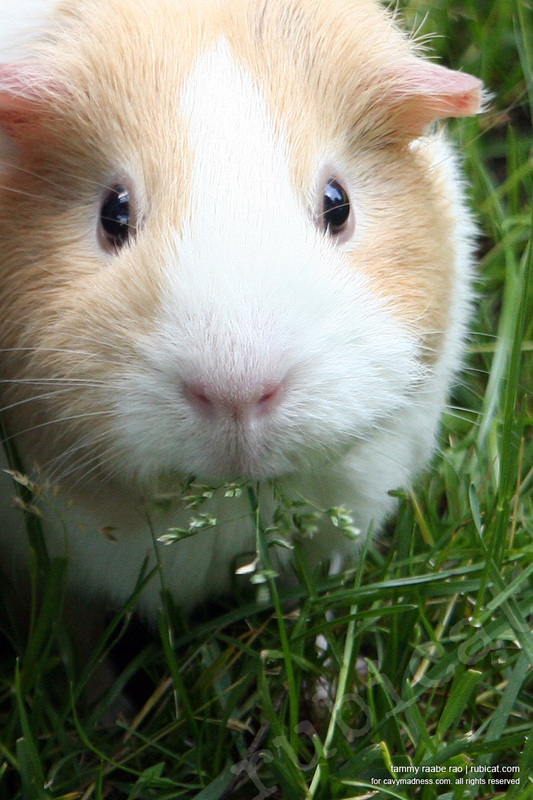 my other labour of love, cavymadness,com, is dedicated to the care and culture of guinea pigs. i began the site in 1999, and it’s grown into a wonderful online community of cavy enthusiasts (the cavymadness facebook community has over 2,000 fans!). for nine years, my pig-partner sally and i have been hosting a PIGnic in the park twice each summer, on the wellesley town hall lawn. imagine over 50 guinea pigs blissfully basking in the sun and munching on fresh grass while their handlers chat about our communal adoration of our affable little eggplant-shaped critters. if you would like to see this adorable face multiplied by 40 or so, stop by the wellesley town hall lawn today (sunday, 10 june) from noonish to 4ish. we’ll have another in september. details are on facebook (boston pignic is a public event, so anyone can view it). i also have a static pignic central page that features general information about the event.